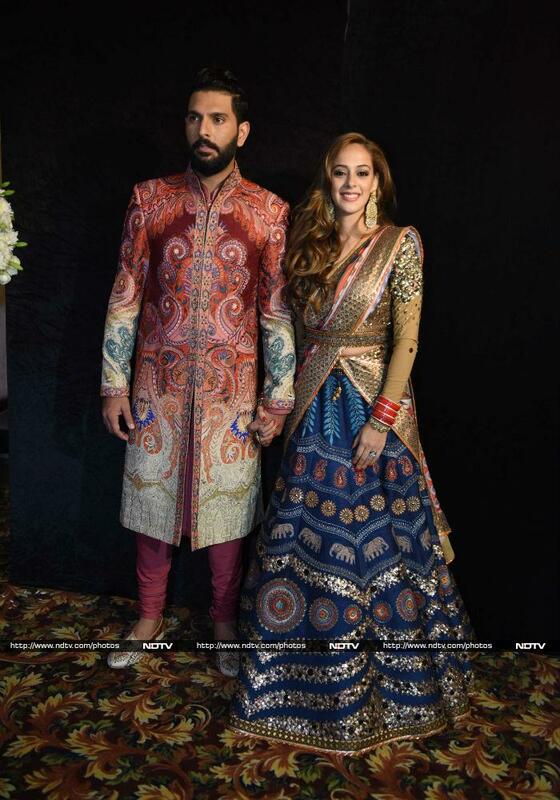 Yuvraj Singh and Hazel Keech's 10-day long wedding celebrations ended with a bang on December 7 with a glittering reception in New Delhi. The reception as attended by veteran cricketers like Kapil Dev, Saurav Ganguly to current players like MS Dhoni and Harbhajan Singh. Take a look. It was J J Valaya again for Yuvraj and Hazel. 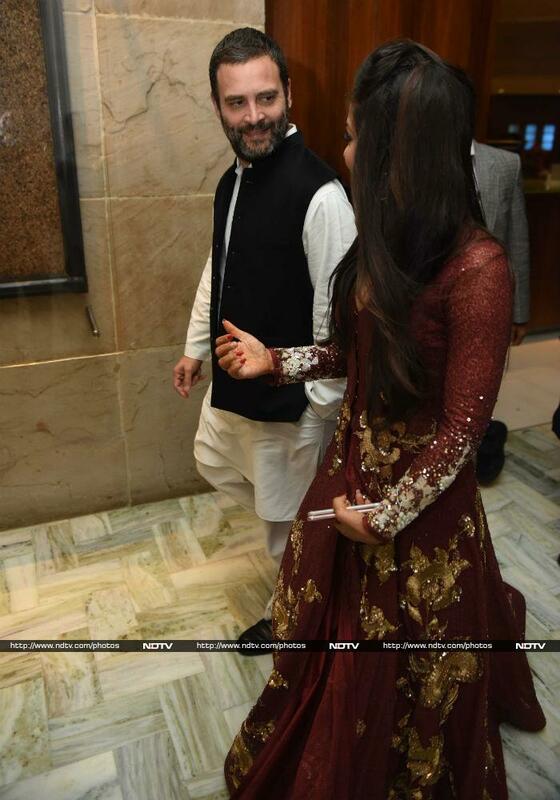 Congress' Rahul Gandhi plastered a wide smile as he arrived amid tight security. Team India captain, MS Dhoni arrived with his wife Sakshi, who looked pretty in a green outfit. Kapil Dev and his wife were spotted enjoying cocktails. Saurav Ganguly posed for a customary onstage pic with the newly-weds. Virender Sehwag and his wife Aarti followed suit. 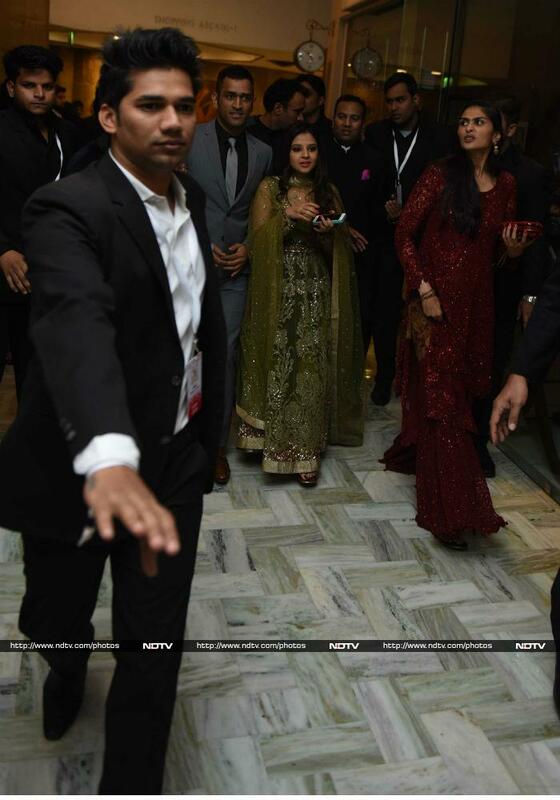 Harbhajan Singh and Geeta Basra also joined the reception party. Paralympic silver medalist Deepa Malik also congratulated Yuvraj and Hazel.